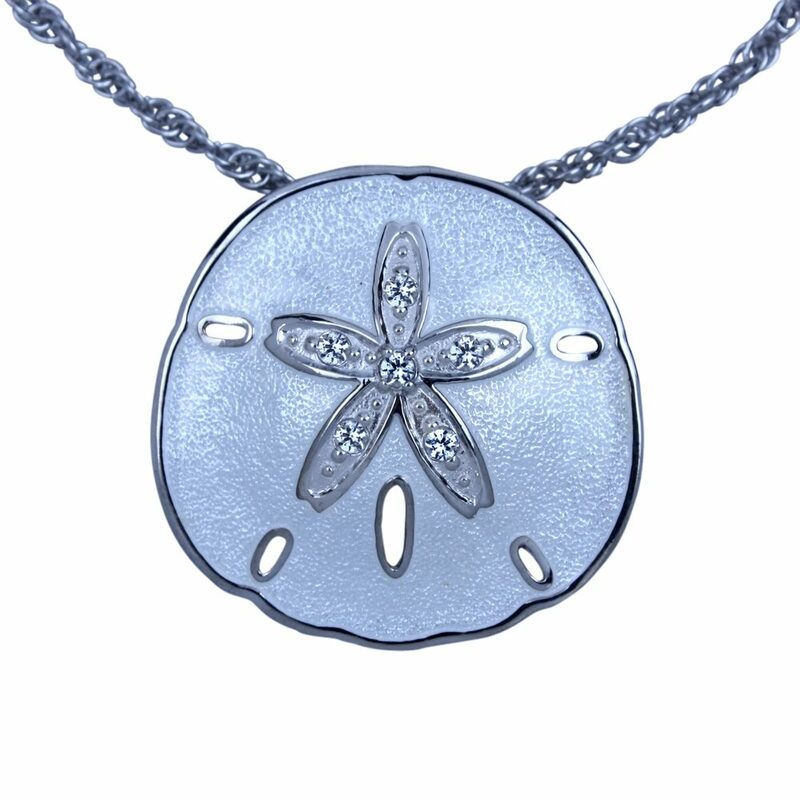 This elegant Sand Dollar necklace is one of the new additions to the Guy Harvey Artist's Collection. 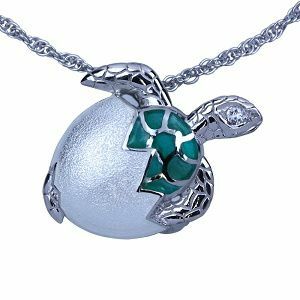 This elegant Sand Dollar necklace is one of the new additions to the Guy Harvey Artist's Collection. 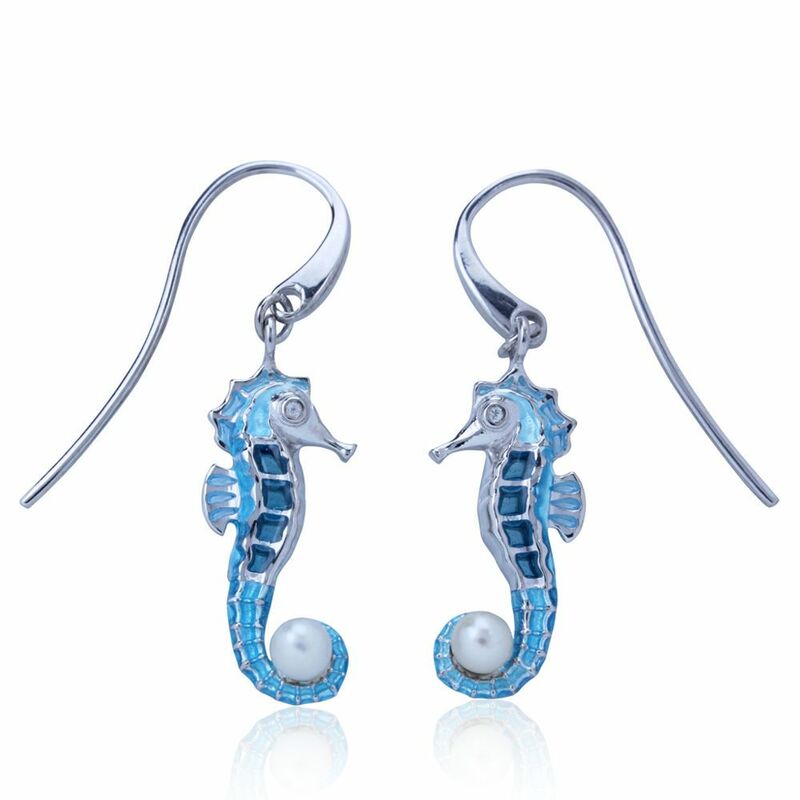 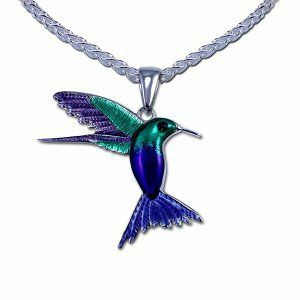 We use the same age old enameling process as Faberge and Tiffany to bring color to Guy Harvey Jewelry. 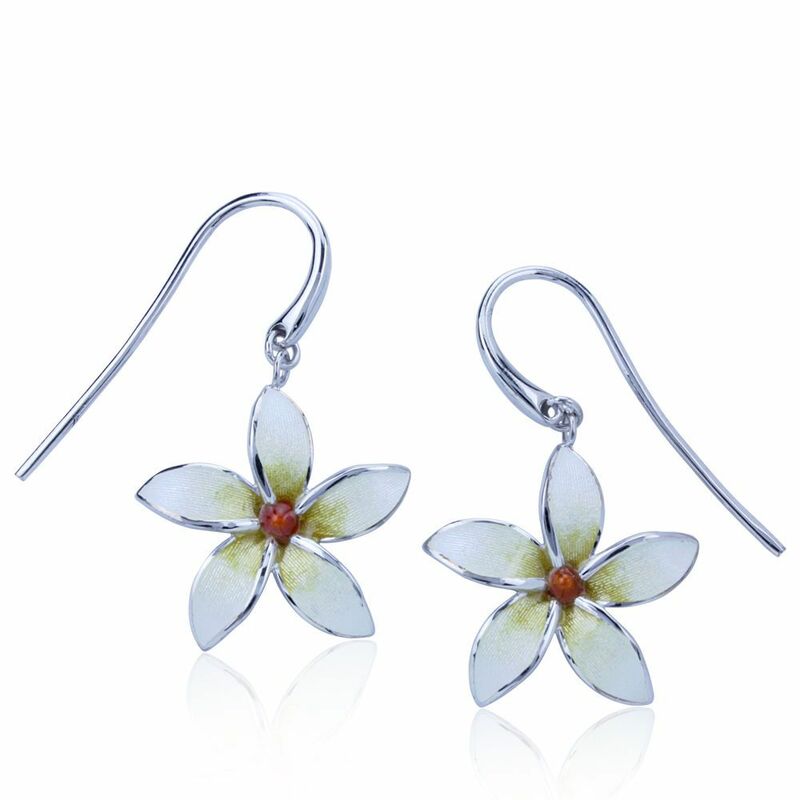 The main body of the sand dollar is made with white transparent enamel over solid sterling silver and it is accented with raised silver areas and white topaz. 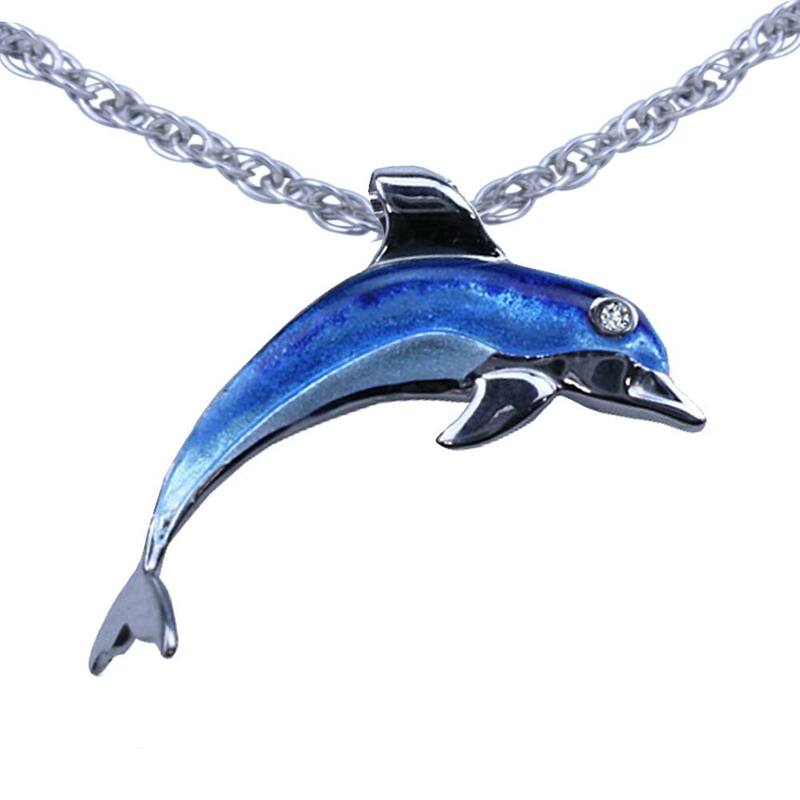 The pendant comes complete with a sterling silver chain that adjusts from 16 to 18 inches. 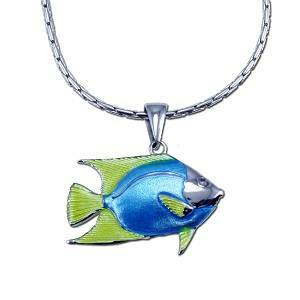 Each piece comes with a numbered certificate of authenticity, gift pouch and Guy Harvey gift box.The sand dollar is 7/8 Inch across.